Get your employees involved in a positive way, by making a difference in the life of a child battling cancer. Small donations add up! Ask your employees to consider making a small payroll deduction to Candlelighters. Encourage employees to make contributions to Candlelighters by matching their gift. 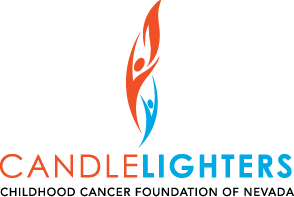 Ask your customers to help support Candlelighters. Your business can donate funding through point-of-purchase sales. By selling a featured product, service, or recognition ribbon, you will be making a contribution to Candlelighters. You can help by hosting a corporate event with a portion of the proceeds benefitting Candlelighters.